For a person with the right work ethic and abilities, truck driving can be an exciting and rewarding career! If you are thinking about becoming a truck driver in the state of Alabama, you are probably wondering where to start. In this article, we will go over everything you need to know about getting a CDL (Commercial Driver License) in the state of Alabama, in order to work as a truck driver. We will also go over the truck driver’s general job duties, as well as salary and job prospects information. What is the CDL License? The CDL is the special driver’s license you must obtain in order to legally drive a commercial truck. Before getting your CDL license, you should complete a truck driving course or program at a truck driving school or community college. Such a course or program will ensure that you have the skills you need to successfully fulfill the requirements of the license, and that you will be a safe and competent commercial truck driver. There are several different classes of CDL, each giving you the legal ability to operate a different vehicle type. A Class A CDL will allow you to operate multiple vehicles that have a weight in excess of a specific amount (for example, a tractor-trailer). A Class B CDL will allow you to operate only a single vehicle that has a weight in excess of a specific amount (for example, a straight truck). Class C CDLs are issued with regard to all other types of commercial vehicles. The general regulations with respect to the CDL are governed by the Federal Motor Carrier Safety Administration (FMCSA). How can I get a CDL license in Alabama, in order to work as a truck driver? Like all other states, Alabama has its own unique requirements with regard to the CDL. The CDL and its requirements in Alabama are overseen by the Alabama Law Enforcement Agency (ALEA). If you want to obtain a CDL in Alabama, you must first have a valid regular (non-CDL) driver’s license. You must also be a U.S. citizen, or you must have legal permanent status in the United States and be domiciled in the state of Alabama. If you wish to have the ability to cross state lines while driving truck driving routes (in other words, do interstate driving), you will be required to demonstrate that you are at least 21 years of age. The first step in getting a CDL is to get a CLP (commercial learner’s permit). It is highly recommended to complete a truck driving course or program before undergoing the testing involved in this process. In order to do obtain a CLP (commercial learner’s permit), you will need to go through the ALEA (Alabama Law Enforcement Agency) to set up an appointment at a driver license office. You must ensure that the driver license office you choose deals with commercial driver’s licenses. You will be required to bring several things to your appointment, including documentation proving your Social Security Number (SSN) (such as your SSN card itself, tax forms, Medicaid or Medicare cards, or discharge/separation papers from the U.S. military), as well as your current driver’s license. You will be required to take tests appropriate for the specific license you wish to obtain. You will find that you will be required to undergo a driving record check. This check will encompass your driving record over the past 10 years, and will include not only your record in Alabama but in all other states, as well. Before you will be allowed to test for the CLP, you will need to have a medical examination. You will need to have a physician complete the Medical Examination Report for Commercial Driver Fitness Determination form. In addition to this, you will have to complete something called a Self-Certification Affidavit, in which you attest to your own physical fitness. After you receive your CLP (commercial learner’s permit), you will be required to be accompanied by a full CDL holder when driving on public roads. The time period you will be required to hold your CLP before beginning the process to get your CDL will vary depending on various factors. The minimum time period under any circumstances is 14 days. However, a longer period of time may apply in your case. Once you have held your CLP for the amount of time required and you feel your truck driving skill has become strong enough, you will be free to book another appointment with a driver license office in order to set up a CDL skills/road test. It is important to remember that you will have to undergo the test in the same kind of vehicle you want to have the right to drive under your CDL. Once you have your CDL, you can seek to gain endorsements (or additional certifications). These additional certifications allow you to do driving not covered with your existing CDL. Endorsements you might want to earn include: the ability to drive double or triple trailers, the ability to drive tanks, the ability to drive school buses and other large passenger vehicles, and the ability to drive HAZMAT vehicles. If you want to drive HAZMAT vehicles, you will be required to undergo a Transport Security Administration background check. 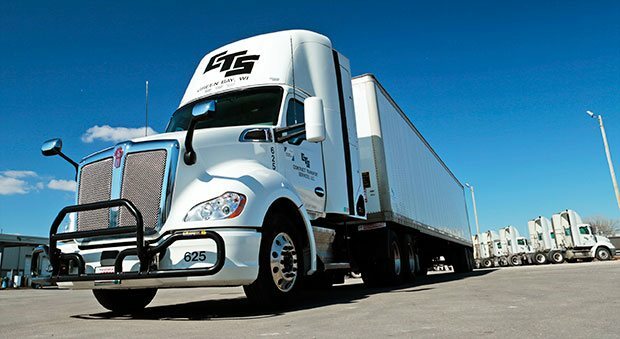 Many people worry that they have to have their own truck before they can obtain a CDL. This concern is unnecessary, however, as owning your own truck is not a requirement. One of the advantages of completing a truck driving course or program is that many schools offering truck driving education let their students use their vehicles for road tests. Sometimes there is a rental fee involved in this process. An alternative to traditional truck educational program is to undergo training at a truck driving company. Some truck driving companies provide their own truck driving schools. You should be aware that many truck driving companies strongly prefer to hire drivers who have their high school diploma or equivalent. You must have your full CDL in order to legally take a job as a truck driver in Alabama. Once you are hired as a truck driver in Alabama, you will likely be required to complete a specified amount of on-the-job training before being allowed to work completely on your own. What does a truck driver do? As can be easily guessed, truck drivers spend most of their time driving. If you want to be successful in this field, you will have to be prepared to spend a great deal of time alone and away from friends and family. Many truck drivers spend weeks and even months away from home at a time. Truck drivers must be ready and willing to drive long distances, meticulously and consistently following all applicable traffic laws. Truck drivers must make sure to report all incidents that occur on the road to a dispatcher, and to conscientiously alert appropriate personnel to mechanical problems. Truck drivers must carry out careful inspection of their trailers both before and after each trip, and make detailed record of any problems they find. They must keep a record or log of all their working hours, ensuring that they follow all applicable regulations at both the federal and state levels. Truck drivers are required to ensure that their trucks and equipment are always in good working order and clean. In most cases, you will be given your route by a dispatcher. However, if you at any point work as an independent driver, you may have to plan your own route, probably using a satellite tracking system to help you do so. As a successful and responsible truck driver, you will be required to follow all laws and regulations requiring the periods of rest. This is critically important not only for your own safety but also that of the public. Depending on the company you work for, you might be required to travel with another driver rather than on your own. In this situation, you and the other driver would take turns resting and driving in shifts. This is known as driving in teams. Truck drivers need several different qualities in order to safely and successfully work in their field, including strong visual ability, sound physical health, sharp hearing ability, and excellent hand-eye coordination. Physical strength is often required in this profession. Some truck drivers are required to load and unload heavy cargo. Truck drivers most often work on a full-time basis. One advantage of being a truck driver is the ability to see many different places. Some drivers are required to travel to Canada and Mexico. How much do Alabama truck drivers make in Alabama? The average salary for truck drivers in the United States is $40,260 per year (an hourly wage of $19.36). What about truck driver salaries specifically in the state of Alabama? What are the job prospects for truck drivers? Prospects for truck drivers in the United States are good. The field is growing at a rate as fast as the average of other occupations. One factor that usually makes truck driving opportunities plentiful is the fact that being a truck driver requires so much flexibility and commitment. Many people are not willing to make the necessary dramatic adjustments to their lifestyle needed to be away from home for a weeks or even months at a time. In fact, it appears that fewer and fewer people are willing to do what is necessary in order to be a truck driver with every year that goes by. If you are willing to make such adjustments and you have all the other qualities and skills needed to be successful in this field, you will be at a great advantage. Is there anything else I should know about being a truck driver? It is crucial not to underestimate the lifestyle changes that will be required by a career as a truck driver. You need to fully understand these realities before taking the step of entering a new career. Truck drivers generally spend periods of weeks to months on the road, with only a short (for example, a few days) visit home (often referred to as “Hometime”). This visit home is then immediately followed by yet another block of weeks or months on the road. It is very important to make sure you spend lots of quality time with your family during your time at home, rather than just succumbing to the temptation of doing nothing (as so many of us do on our days off)! If you will be working on your own (as opposed to working on a driving “team”), you will need to get used to spending vast stretches of time completely by yourself. You must enjoy your own company, or learn to. It is essential to keep up a routine of staying in touch with family members, in order to maintain a sense of connection and stability in that area. As can be easily imagined, modern technology makes this a much easier task for modern truck drivers than it was for previous generations.